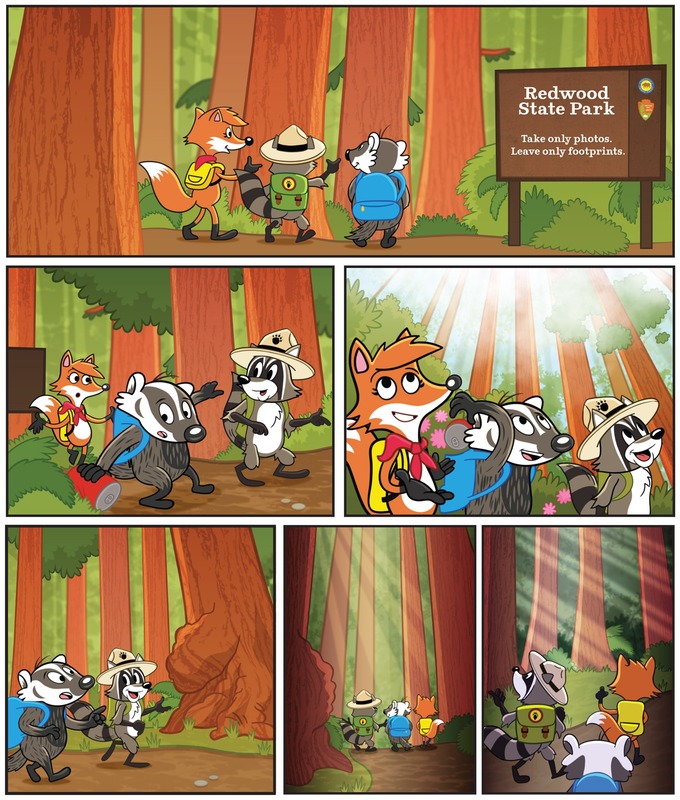 We’re so proud of Ranger Rick & Co. We have been producing artwork for America’s top wildlife comic since 2009. 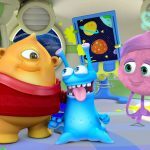 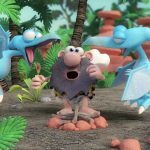 In 2016 we worked with well known American artist, Parker Jacobs (you might remember him from his role as an art director on the children’s television series Yo Gabba Gabba amongst many other credits!) 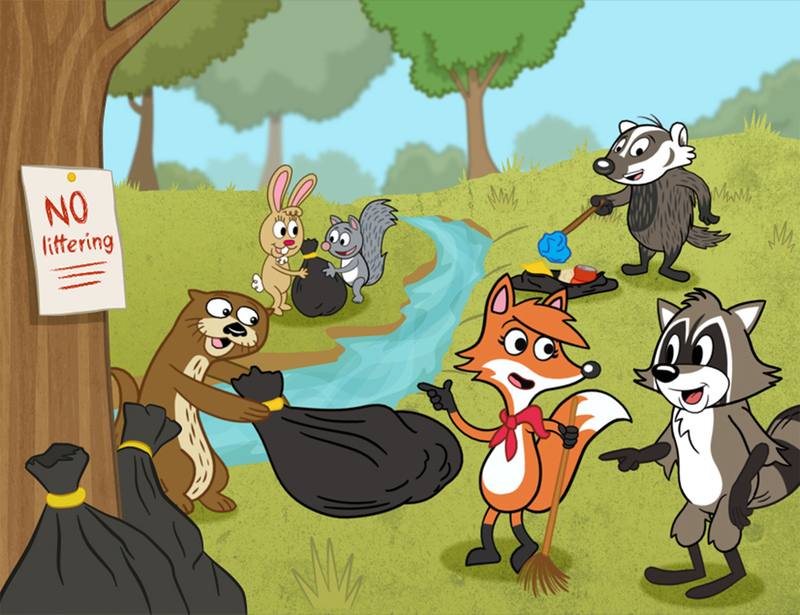 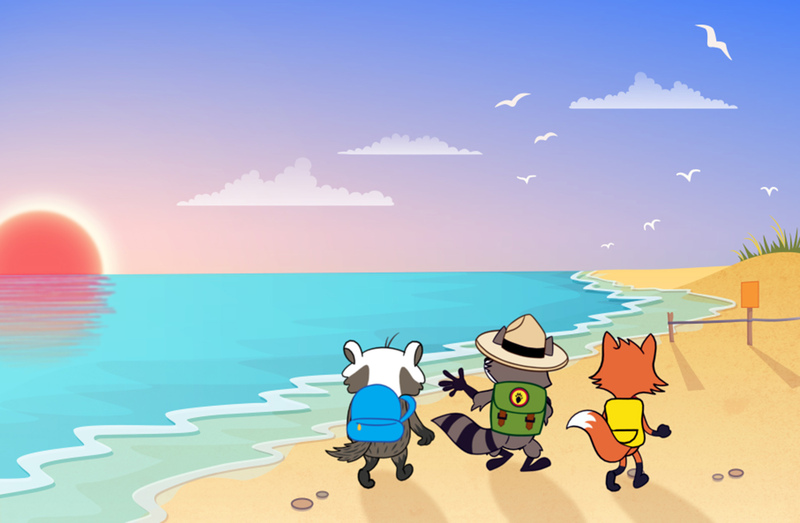 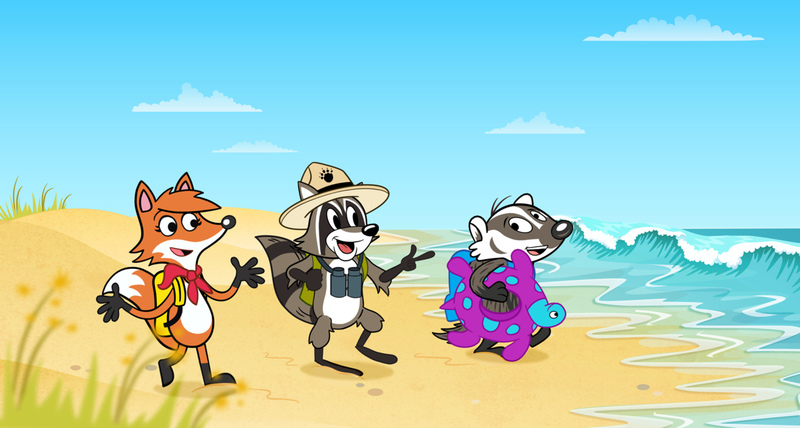 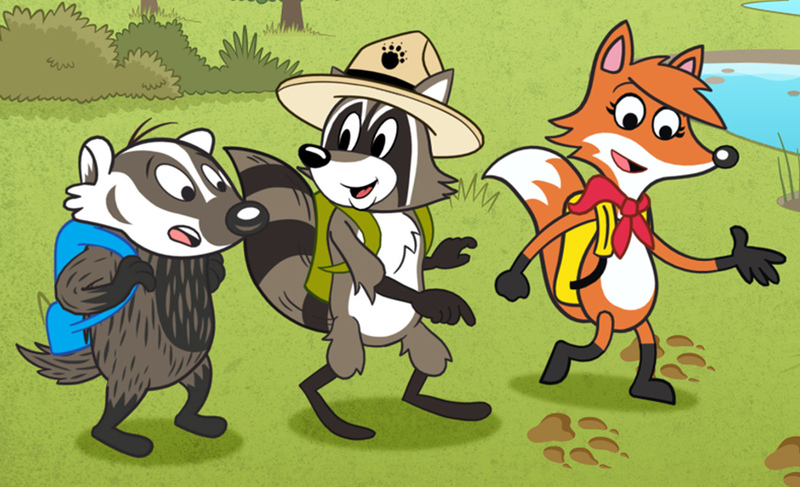 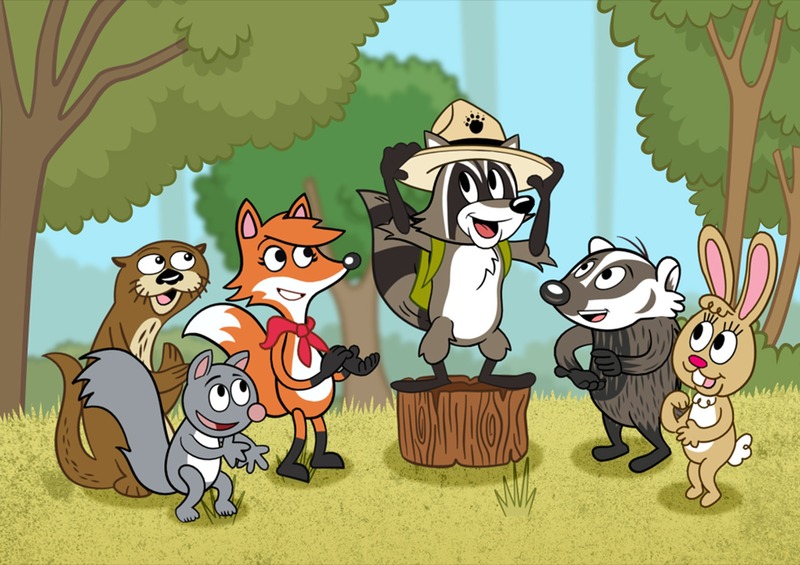 to revamp Ranger Rick & Co.
We had a great time working with Parker’s new designs for Ranger Rick, Boomer Badger and Scarlet Fox and created new 2D background designs and additional characters to complete Ranger Rick’s new look.